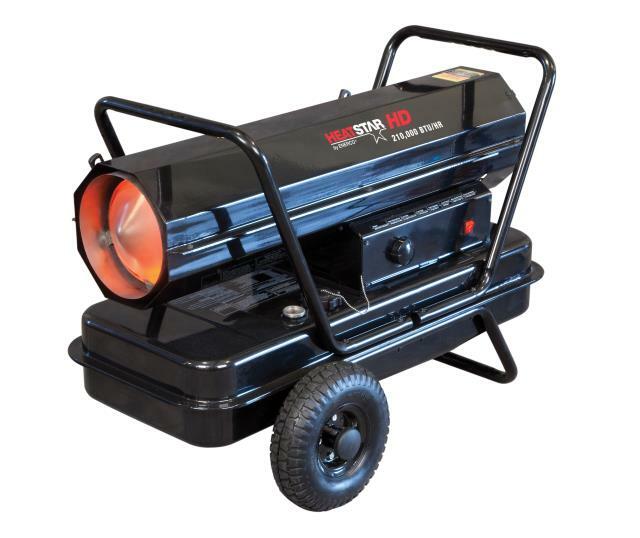 Heavy Duty Portable Direct Fired Forced Air Heater HS210KT provides direct, temporary heat to various industrial / commercial workplaces up to 6,000 sq ft and operates 8 hours on a full tank. This multi-fuel heater features an flame / overheat safety shut-off for added security, a large 14 gallon fuel tank with drain plug and is rugged, convenient and ready to use. * Please call us for any questions on our heater oil 210 275k btu ind rentals - serving Washington and Oregon with all your construction equipment rental needs.